Kangana Ranaut proved her Box Office stamina with films such as 'Queen', 'Tanu Weds Manu Returns' and 'Manikarnika'. She has been doing only female-centric films since 'Queen' and emerged as one of the highest paid actresses in Bollywood. AL Vijay is wielding the megaphone for Jayalalithaa Biopic titled 'Thalaivi' in Tamil and 'Jaya' in Hindi. Script was penned by 'Baahubali' Writer YV Vijayendra Prasad. Currently, Kangana is shooting for 'Mental Hai Kya' and 'Panga'. 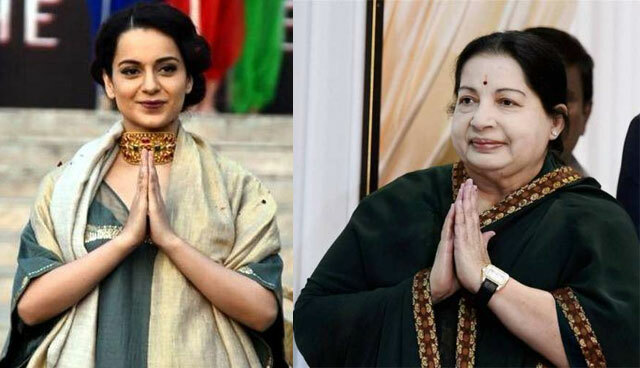 She will start shooting for Jayalalithaa biopic in the second half of 2019. Makers wish to release this movie ahead of 2021 Tamil Nadu Assembly Polls.